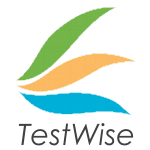 TestWise Professional Edition 5.0.21 comes with More flexible and more features, supporting all major open-source test frameworks: Selenium-WebDriver, Watir, Watir-WebDriver, Capybara, RWebSepc, RSpec and Cucumber. TestWise IDE helps testers to create/run RWebSpec (extension of popular Watir) testing framework in concise, clear syntax (RSpec). Supports leading open-source web test frameworks: Watir and Selenium WebDriver in RSpec or Cucumber. It supports execution in browswers with recording ability. Also comes with test refractoring and continous build integration. Automated functional testing tools: supporting Watir 2, Selenium 2 (WebDriver), RSpec, Cucumber and many enhancements.